Jennifer Aniston and Reese Witherspoon are teaming up. According to The Hollywood Reporter, the two stars are attached to a new TV show from former HBO executive Michael Ellenberg. The untitled comedy explores “morning shows and the larger New York media scene that they inhabit.” Jay Carson is slated to write the script and executive produce with Steve Kloves, Lauren Levy Neustadter, Witherspoon, and Aniston. This won’t be the first time the two A-list actresses have shared the small screen. In 2000, Witherspoon played Rachel’s younger sister on two episodes of Friends. Most recently, Witherspoon starred in HBO’s hit drama Big Little Lies. What do you think? 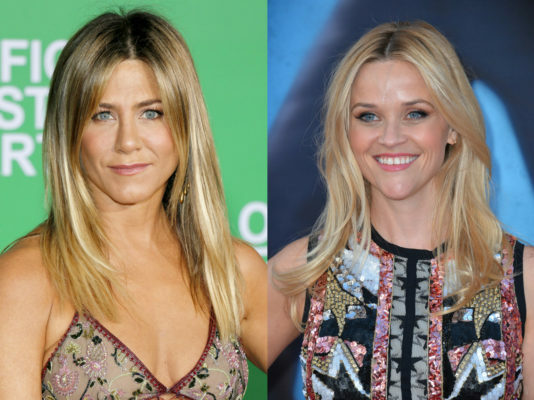 Are you a fan of Aniston and Witherspoon? Would you watch their new TV show? More about: Big Little Lies, Big Little Lies: canceled or renewed? I’m in ….I love them both !!! I think it’s a good idea, but I also think at some point they will not want to do something on a daily basis. Kelly Ripa does a daily talk show because she can’t get anything else. These two are still in high demand.